Rugby League World Cup Tickets are very popular and in high demand. Book now your Rugby World Cup Tickets and secure your seats. The Rugby League World Cup was an initiative of the French, the Rugby League World Cup is an international rugby league football tournament contested by national teams of members of the Rugby League International Federation (RLIF). It has been held nearly once every 4 years on average since its inaugural tournament in France in 1954. Join the excitement, experience all the adrenaline on the field, enjoy the unique electrifying atmosphere and watch live the thrilling action. So order your Rugby League World Cup Tickets here at OnlineTicketExpress and we will get you premium tickets at a great price. We will deliver the tickets to your home or Hotel few days before the match date. Don’t miss out!. Join the excitement. 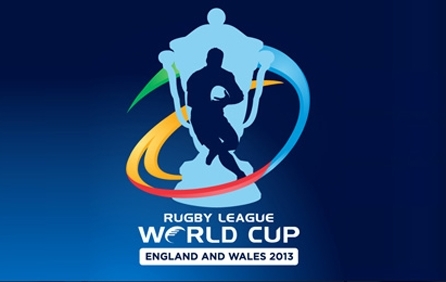 We will deliver your Rugby League World Cup Tickets to your home or Hotel. Fulfill Your Dream of watching Rugby League World Cup live. Best Rugby League World Cup Ticket prices in the market guaranteed! We’re sorry, Rugby League World Cup tickets are currently not available. Sign up for a Rugby League World Cup tickets alert and we will let you know as soon as we have tickets available for sale. Please enter your email below for a Rugby League World Cup updates! * You will receive Rugby League World Cup email alert immediately once the tickets you're looking for become available. * Don’t Miss out the Rugby League World Cup event.